Can tougher laws stop violent rituals? School groups, sports teams and other organizations often initiate members by requiring participation in degrading or violent rituals. Hazing can escalate from silliness to cruelty, sometimes causing emotional scars or even death. Experts say hazing is becoming increasingly brutal and sexual in nature, even at middle schools. Last December, Northern Illinois University fraternity members were charged in the hazing of a freshman who died after a night of extreme drinking. 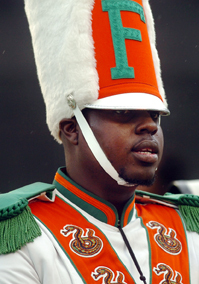 In 2011 a Florida A&M University drum major was beaten to death by fellow African-American band members, sparking concerns about the nature of hazing at mostly black institutions. In Afghanistan two U.S. servicemen committed suicide in 2011 after being abused, sparking congressional condemnation and pledges by military brass to crack down on hazing. Some argue hazing can build character and camaraderie, but critics advocate stronger enforcement, coupled with education, to curb it.